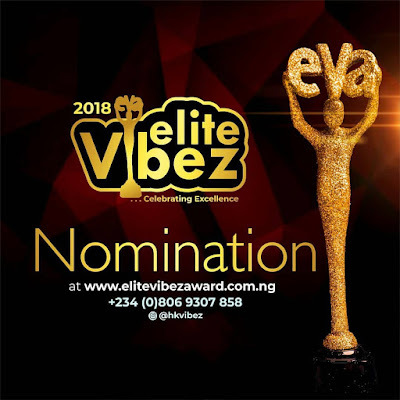 The organisers of Elite Vibez Award, popularly known as EVA Award, headed by Hamid Kunle Kareem aka HKK/Hkvibez, has finally unveiled nomination list for this year's edition of the award. The nominees' list for the 8th edition, arrived at from a public call few months ago, has students and youths categories. The annual award is an innovation of Inherent Multimedia, created as a platform to connect, gather, interact and celebrate youths and individuals who have been outstanding in their various engagements and by so doing have motivated and inspired more youths and individuals in different walks of life. This edition, according to the C.E.O of the award, Hkvibez, "promises to be the sweetest mix of glitz, fashion, music, comedy, recognition and networking."